This Skin is in the "Urban Legends" - Skin Contest which is now Complete! She is the girl who murdered her brother. Locked away in a dank, ancient prison to prevent her from hurting anyone else, she went mad. She had never meant to murder her brother. She wanted to know what the metal device lying on the table did, but no one believed her side. Anger rising in her throat, she banged against the metal bars that separated her from the outside world, a desperate attempt to bust herself free. She continued, ignoring the pain that followed. A guard glared at her, and turned away, stomping up the stone stairs to leave her constant banging. She tried to bend the metal, but nothing budged, and she sank to the floor, miserable. A cold gust of air hit her in the side, and she realized the guard must be opening the entrance to outside. With a fresh surge of hope, she threw herself against the bars, her head cracking as it hit the metal. Dizzy, she fell down, giving herself up to an endless blackness. It had been a month. Or maybe two, the girl didn't know. She had hurt her head, and no one had been there to help her. She struggled to stay conscious during the day, head throbbing and pounding loudly in her ears. Fear rose in her throat. She couldn't remember why she was here, or how she got there in the first place. More days past, and the girl drew desperate. She was starving, and thirsty. She drank the water that dripped down the slimy wall when it rained, and ate bugs and rats that entered her cell. Her clothes teared and felt tighter as the months went on, and in the meantime the girl spent her hours creating a weapon out of rock. It was sharp on the edges. As soon as the guard passed her cell, she aimed and tossed it out of the space between two bars. Hitting the guard, he gasped and fell awkwardly to the floor, the key to the girl's cell dropping in front of her. Satisfaction flooded through her. She reached for the key and pulled it towards her. She grobed for the lock and fiddled with it, and it finally dropped down, the cell swinging open. The girl glanced at the guard, unconscious on the floor, and gripped her weapon, which was lying on the ground. She hit the guard again, fresh blood spilling onto the stone floor. Once she was sure he was dead, she ran out of the prison, other people held captive yelling after her, but she ignored them and continued. She spilled into the open. She still had her weapon in her hand, sharp and bloody as ever. She smiled, free, and ran insanely, back and forth, into the dank forest. Lost, she wandered in circles for weeks on end, until finally she collapsed and died from exhaustion. There was no moon that night, but fog hung in the air, so thick that you could not see ten feet ahead. To this day people claim that on moonless, foggy nights, if you stand on the edge of the forest, you can hear the sound of a rock clanging against metal, getting louder and louder, drifting eerily from the trees. You know you should change your stats form Unprofessional Skin Artist to Professional Skin Artist cause your skins are better than mine and I've been doing them for a long time so that tells me something but hopefully I can be as good as you are!!! Cause your skins are awesome!!!! LOVE THEM!!! 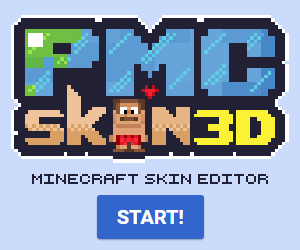 Also how did you change the font for the title of the skin? Cause I'm trying to do that and don't know how! Thank you so much! I may change it when I can figure out how xD. I change the font with this site: https://lingojam.com/FontChanger good luck! Congrats in being in the Finals! Aw, thanks, and I love your submissions!